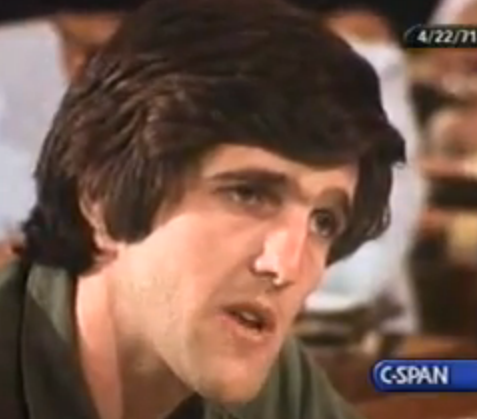 This entry was posted in John Kerry, Middle East Politics, Netanyahu. Bookmark the permalink. If only it were possible. As I read the New York Times skepticism about his process this morning, I found myself “wistfully thinking” maybe he could do it. But having just seen the web of settlements and bypass roads that ensnare the West Bank, it is hard to be optimistic. Even the researcher at ARIJ (Applied Research Institute of Jerusalem) thought both the two-state and one-state solution are impossible. She had no hope at all. And that’s what we heard consistently from Palestinians. What comes as a result of despair? Thank you (again) Jim, for your support for Kerry’s persistent, dogged determination to get Bibi and Abu Mazin to the negotiating table. The odds are indeed hugely stacked against “success”. I’ve just returned from a 2 week study tour to the region, listening to spokespersons from all sides of the political and social spectrum. I’m hoping that Kerry is doing a lot privately with the leaders, avoiding the media circus and all the public posturing that appeals to the extremes (and gets no where). In both Hegel and Kerry, Obama now has high level leaders who hate the horrors of war and the phony sense of achievement war fosters. Is there enough trust between the “free” parties? 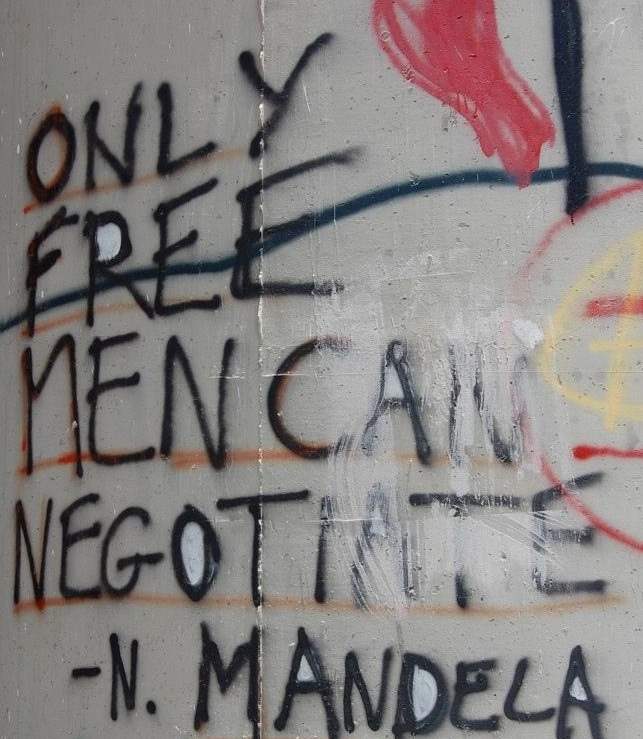 (Mandela’s comment is so appropo.) Can these two face down their extreme elements? Will Israel finally address the root causes of the conflict? Will Palestinians believe Israel is dealing in “good faith”? Not gonna happen, but I appreciate the piece and John’s efforts. Could pigs fly? Call me a skeptic, but I still believe that if it was going to rain, we would have seen some clouds, as the Arabic saying goes. Right now, the only clouds I see are those of an American administration that stoops so low to appease the Israelis and even uses threats to deny the Palestinians the right to take Zionist war criminals to the ICC. Government. Bibi Netanyahu is not going to embarass them by not only building new settlements but have AIPAC topple all what US envoy did. Doesn’t history repeat itself ? It will be a MIRACLE if Secretary of the greatest nation succseeds this year. Oh dear Jim, I do so hope it is not just “wistful thinking”. It is difficult to believe that “Israel is ready to ease its prison-like grip on a people whose land they illegally occupy”. But then God (or something) does continue to surprise me with voices from the most unlikely places. Who would have guessed that a handsome guy with enormous talent from a refugee camp in Gaza would burst upon the scene and sing of unity, justice and peace.